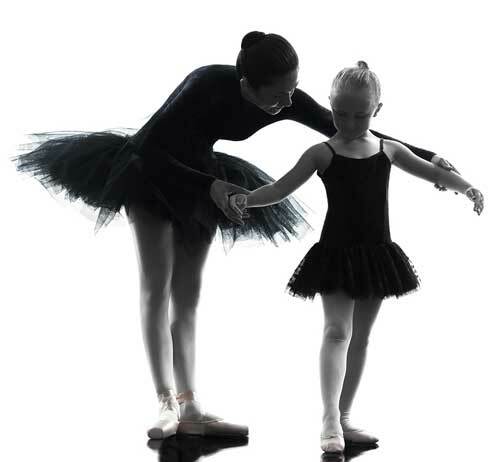 Ballet – Ages 6 & older. Ballet positions, technique, and exercises will be covered as dreamers develop poise, grace, & confidence. Hip Hop Babies – Ages 4 & 5. If your little one just loves to move like the Fresh Beat Band or Shake it Up, this class is for them! Age appropriate music and fun, athletic dance steps will be taught during this class. Hip Hop – Ages 6 & up. Isolations, popping, & free-style movement will all be a focus of this athletic and energetic dance style. Jazz – Age 6 & Up. Turns, leaps, and flexibility will be focused on while learning steps to upbeat and current music. Lyrical/Contemporary – Ages 6 & up. Dreamers will learn to express themselves through song lyrics and improve their musicality while blending ballet technique with the style of jazz. Students are encouraged to take a ballet and or jazz class in addition to this class. Pom/Cheer/ Junmps Turns Technique – Ages 6 & older. A great class for anyone looking to improve their kicks, turns, jumps, and overall pom & cheer technique. Viva La Divas A combination of ballet & tap are taught during this class using both classical dance techniques & creative movement. These classes will improve basic motor skills, agility, & rhythm. Both ballet & tap shoes will be needed for this class. Tap – Ages 6 & older. Rhythm, timing, and agility will be a focal point during this class which builds coordination. Two Much Fun(2)/ Broadway Babies(3)– Ages 2-3. A combination of creative movement and beginning tap skills are taught in this class designed for our newest little dancers. Our goal is to improve basic motor skills, agility, & rhythm. Both ballet & tap shoes will be needed for this class. Ballet, Tap, and Jazz shoes as well as a variety of dance attire can be purchased at Street of Dreams. Adult Classes – Comfortable clothing that allows for movement is recommended. Ballet – Any solid color leotard and pink tights; skirts are optional. Hair must be worn in a bun. Boys – Boys may wear athletic or sweat pants with a fitted T-shirt (no oversize baggy T-shirts or sweatshirts). Hip Hop, Jazz, Lyrical, Pom Technique & Tap – Girls may wear leotards, tights, unitards, tight fitting jazz pants, trunks (briefs) or crop tops only. T-shirts, sweatshirts and sweatpants may be worn for the first 15–20 minutes of class only (during warm-ups). Hiphop Can Stay in tees/Sweats. Two Much Fun, Broadway Babies & Viva La Divas – Dreamers Have to purchase a mandatory leotard with an optional skirt of any color. Tights are preferred and long hair should be worn off the neck and away from the face. Both pink ballet shoes and black tap shoes are required for all Toddler Classes age 5 and under. *No jeans will be allowed in any dance class. Hip Hop – Clean gym shoes (any style) are permitted for Hip Hop. Please provide a pair that are only worn on our dance floors and not out on the street. Jazz – Black jazz shoes must be worn for all jazz classes. We recommend the leather slip-on jazz shoe with no laces. Lyrical/Contemporary – Black jazz shoes & dance paws are permitted for all lyrical/ contemporary classes. Dancers may also go barefoot at times during class, but please bring shoes for turning purposes. Pom/Cheer/ Turns& Jumps Technique – Jazz shoes are recommended for Pom Technique. Tap – Tap shoes are required for all Tap classes, Twinkle Tots, Pre-Dance and Kinder Combo classes. Most of the young dancers (Two Much Fun, Broadway Babies & Viva La Divas) should wear the Mary Jane style in black. Tappers first grade and older should wear a laced jazz shoe style with attached taps. Zumba – Clean gym shoes are recommended for Zumba. Click here to download a PDF of the classes and dress requirements.